This report presents information on the ecology and status of tigers and wild ungulates in a portion of the Terai Arc Landscape that lies between the town of Pilibhit in Uttar Pradesh and Suhelwa WLS in Balrampur District of Uttar Pradesh, referred to as the Central Terai Landscape. The study (2011 -2013), carried out in association with the Uttar Pradesh Forest Department, was focused on studying populations of tigers and their principal prey species in Dudhwa Tiger Reserve, Pilibhit Forest Division, and the North and South Kheri Forest Divisions. These surveys for wildlife were the most intensive of their kind to date, and the findings of two years of field-sampling have been analyzed and presented in this report. 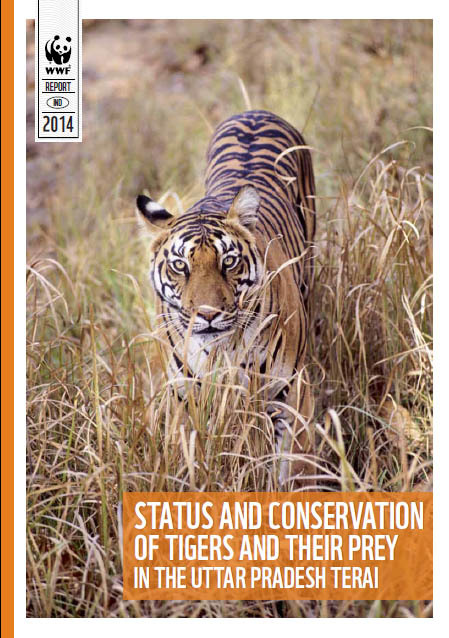 With the greater purpose of generating reliable information on the occurrence and abundance of tigers and their prey in order to inform conservation planning and wildlife management, at both the landscape and local scales, this study addressed several major objectives. 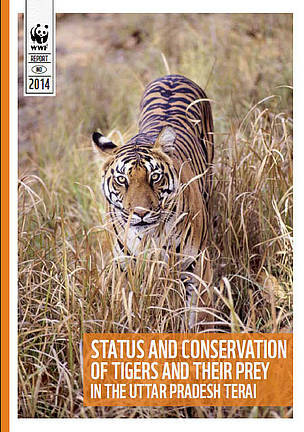 The first was to intensively sample tiger populations using camera-traps to estimate population sizes and density. The second was to make available preliminary information on the dynamics of tiger populations and to describe the population structure in detail. The third objective was to quantify the abundance of key prey species, and to develop an understanding of prey density and distribution relative to the environment. The fourth was to extend tiger monitoring efforts to the Suhelwa Wildlife Sanctuary and report on the status of tigers at this site which has received little conservation attention. Methodological details and study findings have been discussed in detail, in the context of current conservation issues.